Draft: 2005, Detroit Tigers, 12th rd. Full name MATTHEW RYAN JOYCE...Wife, Brittany…Daughter, Kensington…2002 graduate of Armwood (FL) High School… Played baseball collegiately at Florida Southern College in Lakeland, FL…Earned All-Sunshine State Conference honors in 2004 as a sophomore with 11 home runs and 39 RBI in 58 games...Faced the Tigers and Justin Verlander several times while in college during spring exhibition games. Batted .208 with seven home runs and 15 RBI in 83 games in a season interrupted by two stints on the disabled list with a back injury… Was the A's Opening Day starter in left field…His games played were his fewest since appearing in 77 contests with Tampa Bay in 2010… Started 46 games (39 in LF, 6DH, 1 RF), all in games started by a right-handed pitcher…Went 2-for-33 (.061) with RISP, the lowest in OAK history (min. 40 PA) and the lowest by an American Leaguer since Glenn Gulliver hit .059 for Baltimore in 1982 ... Went 7-for-24 (.292) with three doubles, one home run, two RBI and five walks as a pinch hitter…Led AL pinch hitters in hits, doubles and PA (30), tied for the lead in walks and T2nd in extra base hits (4)…Hit his first PH HR as an Athletic and the 6th of his career May 16 at Boston…Led off the game with a home run May 26 against Arizona for the 9th time in his career…Was placed on the disabled list June 3 with a lumbar strain…Reinstated from the DL June 22…Appeared in 8 games before returning to the DL with a lumbar strain July 5 (activated on Sept. 1)…Was on the A's Wild Card roster but did not play. Signed a two-year deal with the A's following the 2016 season and hit a career-high 25 home runs in his 10th season in the majors…also had career bests in at bats (469), runs (78), doubles (33), walks (66), extra base hits (58) and strikeouts (113) and matched his high in games played (141)…was batting .225 with 18 doubles, 13 home runs and 39 RBI in 95 games through the end of July (.408 slugging percentage)…then hit .278 with 15 doubles, 12 home runs and 29 RBI over his final 46 games (.601 slugging percentage)…batted .243 overall and his .473 slugging percentage was his best in six years…hit .253 (101-for-399) with 24 of his 25 home runs against right-handed pitching, .186 (13-for-70) against left-handers…made 109 of his 123 starts (88.6%) against right-handers…over the last five years, he has made 444 of his 470 starts (94.5%) in games started by a right-hander…is a .252 (676-for-2681) career hitter with 120 of his 131 home runs against righties, .185 (83-for-448) against lefties…batted .292 during the day, .216 at night…tied for eighth in the American League in sacrifice flies (7) and ranked 10th in pitches per plate appearance (4.17)…had a .168 batting average with runners in scoring position, which was third lowest in the AL and fifth lowest in Oakland history…had a .114 average with RISP and two outs…was 4-for-11 (.,364) with a grand slam and 12 RBI with the bases loaded and is a .358 (24-for-67) career hitter with the bases full…started 103 games in right field, 18 in left field, one in center field and one at designed hitter…committed a career-high seven errors for a .973 fielding percentage…had the third lowest fielding percentage among outfielders in the AL and tied for the third most errors…his fielding percentage was the lowest by an A's outfielder since Chris Singleton had a mark of .969 in 2003…all seven of his errors came as a right fielder, which are the most by an A's right fielder since Ruben Sierra had nine in 1994…went 2-for-14 (.143) with a double and six strikeouts as a pinch hitter…now has a .193 (34-for-176) career average in the pinch…started games at every spot in the batting order except clean-up, including a teamleading 54 in the leadoff spot. OAKLAND: Hit .157 over his first 17 games through April 25…went 14-for-54 (.259) over a 15- game stretch from April 26 to May 14 to lift his average to .210 but then hit .169 over his next 22 games through June 11…committed his first error of the season May 24 against Miami…it was his first miscue since May 30, 2015, snapping a 130-game errorless streak as an outfielder… played in his 1,000th career game May 28 at New York (AL)…hit his fifth career grand slam June 4 against Washington, his first in over five years (May 25, 2012 at Boston…had four RBI for his 13th career game of four or more RBI (now has 14)…it was the first time his team lost one of those games…was batting .194 before hitting safely in 14 of 15 games from June 13-29 (18-for-52, .346) to boost his average to .230…led off the game with a home run June 17 against New York (AL)…it was his first since Sept. 24, 2013, also against the Yankees…it was the first of four times he led off the game with a home run (July 22 at New York-NL, Aug. 9 vs. Seattle, Aug. 15 vs. KC)… the four leadoff home runs are tied for seventh most in Oakland history in one season but they are tied for fifth on the Oakland career list…has now led off the game with a home run eight times in his career…had his best single-month batting average in June when he batted .286 in 25 games…was on the suspended list from Aug. 5-6 and missed two games…homered off Richard Bleier Aug. 13 against Baltimore for his first home run off a lefty since June 4, 2016 against Los Angeles (AL)…that was also his last RBI against a lefty…that began a 25-game stretch through Sept. 15 where he batted .276 with nine home runs, 21 RBI and a .670 slugging percentage… batted .259 with nine doubles, seven home runs and 18 RBI in 22 games in August…the 16 extra base hits were his most ever in a month, the doubles and home runs matched his most and the RBI were his most since he had 19 in May of 2012…made his fifth career start in center field Sept. 2 at Seattle, his first since May 31, 2009…tied an Oakland record with three doubles on Sept. 27 at Seattle (27th time, previous: Coco Crisp on Aug. 14, 2015 at Boston). Signed a minor league contract with Pittsburgh on Feb. 20 and spent the entire season with the Pirates, batting .242 with 13 home runs and 42 RBI in 140 games…added 59 walks for a career-high .403 on-base percentage…the on-base percentage was fourth best in the National League among players with 250 or more plate appearances…also had a career-high .866 OPS…21 of his walks came as a pinch hitter, which set a Major League record for most walks by a pinch hitter…broke the previous mark of 20 held by Matt Franco (1999 Mets) and Greg Norton (2009 Braves)…went 13-for-59 (.220) with four home runs, 15 RBI and a .452 on-base percentage in the pinch…in addition to walks, he also led ML pinch hitters in RBI, tied for the lead in home runs and ranked second with 81 plate appearances (Gosselin, ARI 83)…the RBI fell one short of Willie Stargell's club record of 16 set in 1982…they were the most by any pinch hitter since Matt Downs also had 15 with Houston in 2011…the pinch plate appearances were the most by a Pirate since 1989 (John Cangelosi, 83)…made 44 of his 48 starts against right-handed pitching…hit .244 (48-for-197) with 12 of his 13 home runs against right-handers compared to .235 (8-for-34) against left-handers…over the last four years, has made 335 of his 347 starts (96.5%) against right-handed pitchers…his career splits are .252 (575-for-2282) with 96 of his 106 home runs against righties, .185 (70-for-378) against lefties…batted .295 in 76 games before the All-Star Break, .176 in 64 games after the break…hit .265 with 10 of his 13 home runs in 70 games at home, .219 on the road…nine of his 13 home runs came with runners on base…nine came in the seventh inning or later…hit .350 with seven home runs and 21 RBI in the seventh inning…led the majors in RBI in the seventh inning and topped the NL in home runs…went 2-for-5 (.400) with the bases loaded and is a .357 (20-for-56) career hitter with the bases full…batted .321 with a .463 on-base percentage when leading off an inning…appeared in 43 games (30 starts) in right field and 26 games (14 starts) in left field…did not commit an error in 66 games (82 chances) overall as an outfielder and now has a 94-game errorless streak dating back to his last error on May 30, 2015…also went 5-for-14 (.357) in four starts at designated hitter…batted .247 with eight home runs and 26 RBI in 48 starts overall…started games at every spot in the batting order except ninth…saw his most action with 13 starts in the five spot and 11 hitting six…averaged a career-high 4.44 pitches per plate appearances, which was second highest in the NL among players with at least 250 plate appearances. Spent his only season with Los Angeles (AL) after being acquired by the Angels in a trade with Tampa Bay during the offseason…hit .174 with five home runs and 21 RBI in 93 games in a season shortened by a one-month stint on the disabled list with a concussion…hit .186 against right-handed pitchers…was just 1-for-21 (.048) against lefties…had 18 of his 43 hits go for extra bases…made 64 appearances (58 starts) in left field and two appearances in right field…hit four of his five home runs during the month of May…homered in back-to-back games on May 27-28 and went deep three times in four games from May 27-30…had second career sacrifice bunt June 3 against Tampa Bay…was placed on the seven-day concussion disabled list July 27 and was transferred to the 15-day DL Aug. 10…began a rehab assignment with Triple-A Salt Lake Aug. 16…was returned from his rehab assignment and reinstated from the DL Sept. 1…hit .305 with five doubles, five home runs and 15 RBI in 27 games while playing for Gigantes del Cibao in the Dominican Winter League. In seventh big league season, sixth with Tampa Bay, hit .254 (106/418) with 23 doubles, two triples, nine home runs and 52 RBI...Drew a career-best 62 walks....254 average and .349 OBP were second-best career marks...Was one of two Rays (Ben Zobrist) to log at least 15 doubles in each of the last five seasons...Played in 140 games, one shy of matching a career-high...Saw playing time in left field (81 G), DH (33 G) and right field (15 G)...Logged nine sac flies, tied for third in the A.L. and tied for fifth in the Majors...Only Miguel Cabrera (11) and Mike Trout (10) had more...Set a Rays record April 25 at the White Sox, drawing five walks...Was the first A.L. player to draw five walks in an 9-inning game without an IBB since Rickey Henderson, July 30, 2000...Tied a franchise record with five hits and tallying 12 total bases June 29 at Baltimore...Logged second career walk-off hit Sept. 1 vs. Boston...Delivered a bases-loaded single in the 10th inning. Started 109 games (51-RF, 41-LF, 17-DH), with all but 3 of those coming against righthanded starters…all 3 of his starts vs. lefties came against BOS Jon Lester... His 330 games and 290 starts in RF are the most in club history... In his sixth major league season, third full season, his 18 HR fell one shy of his career high (2011) and ranked 2nd on the team to Evan Longoria... Through June 15 was tied for the club lead with 4 home runs, 2nd in slugging (.535) and had 31 RBI in 60 games…didn't hit a home run for another two months and totaled only four in the remaining 80 games while slugging .310 and driving in only 16 runs... Hit .246 (88-for-358) with 16 HR vs. RHP, and batted .164 (9-for-55) with 2 HR vs. lefties... Hit .350 (21-for-60) in August with 11 extrabase hits (8-2B, 3-HR), the second-best calendar month of his career (.414, May 2011)…batted .089 (5-for-56) in September after beginning the month 1-for-29…has batted .145 (19-for-131) after Sep 1 the past two seasons... In each of his three full seasons (2011-13) has hit higher before the All-Star break than after…over that span, has batted .269 with 37 HR in 228 games before the break and .228 with 17 HR in 177 games after... Drew a career-high 59 BB…averaged a walk every 8.1 PA, the most frequent on the team and tied for 10th in the AL (min. 400 PA.)... Batted .286 (55-for-192) with 12 of his 18 HR while playing right field, but hit .190 everywhere else... Batted everywhere in the lineup except 8th…started at leadoff 27 times…had hit leadoff only twice in his career prior to 2013…hit 3 leadoff homers (June 10 vs. BOS, June 15 vs. KC, Sep 25 at NYY) and has hit 7 HR in 29 career starts at leadoff... Reached base in 31 straight starts from April 15-June 4, establishing a career high (prev. 25, May 1-June 1, 2012)... Hit .185 (17-for-92) with RISP, including 0-for-20 to finish the year…his last hit of the season with RISP came Aug 20 at BAL (a double of T.J. McFarland in a 7-4 win). Had only 2 RBI in his first 17 games, but both came on game-winning solo homers…on April 3 vs. BAL, hit a walk-off homer off Tommy Hunter in the 9th inning for an 8-7 victory, the Rays first win of the season and first of 13 walk-off wins…on April 20 vs. OAK his homer was the lone run in a 1-0 victory... On May 18 at BAL, tied his career highs with 5 RBI and 3 extra-base hits (2-2B, 1-HR)…hit a bases-loaded, go-ahead, 2-run double in the 9th inning to cap a 6-run inning in a 10-6 win... On Aug 16 vs. TOR, homered off R.A. Dickey on the 11th pitch of the at-bat, ending a careerlong 43-game homerless stretch…it was the longest at-bat resulting in a home run by a Ray since Jonny Gomes' 15-pitch at-bat on June 28, 2008 at PIT off LH Damaso Marte... POSTSEASON: Was 0-for-8 with 4 strikeouts in 4 postseason games, one start…is hitless in his last 11 postseason AB. The Tampa native made 115 starts in his secondfull season...started 78 games in RF, 33 in LFand 4 at DH...his 239 starts in RF are the mostin club history...Missed 23 games, June 20-July 16, with a left external oblique strain, while the Rays went 8-15...before the injury, hit .279/.387/.512 (56-for-201) with 11 HR, 34 RBI and 31 BB in 62 games...after the injury, hit just .202/.291/.343 (40-for-198) with only six HR, 25 RBI and 24 BB in his final 62 games...Batted 77 points higher in the first half than in the second (.279 to .202)...in his two full seasons, has batted .285 (134-for-470) with 23 HR in the first half and .230 (90-for-391) with 13 HR in the second half...during his career has batted a combined .310 in April and May with 25 HR in 122 games and .231 the rest of the season with 36 HR in 323 games...As late as June 15, ranked 3rd in the AL with a .399 OBP while batting .293...saw his OBP drop 58 points and his average 52 points from that day until the end of the season...Hit just .121 (4-for-33) vs. LHP after being activatedfrom the DL...was hitting .259/.368/.397 (15-for-58) vs. lefties prior to his DL stint...alltold hit three homers off lefties, same number as2011...Hit .287 (74-for-258) against starting pitchers but only .156 (22-for-141) against relievers...Posted a .219 (61-for-279) avg. when hitting in the third, fourth or fifth spots in the order...hit .337 (33-for-98) when batting sixth, seventh or eighth...Had a career-long 12-game hitting streak from July 29-Aug 13...hit .302/.375/.581 (13-for-43) during the streak...In a 10-4 win on Sept. 29 at CWS entered as a pinch-hitter and later hit a solo home run and 3-run homer...became the first Rays player to hit two HR in a game he didn't start and the first AL player with two HR and four RBI as a sub since MIN Matt LeCroy on Sept. 13, 2002 at CLE...in 2012, only one other player hit two HR in a game he didn't start: NYY Raul Ibañez on Sept. 22 vs. OAK...Hit two grand slams in a span of six days (May 19 vs. ATL, May 25 at BOS)...earlier that month-on May 9 at NYY-hit a three-run, ninth-inning HR off David Robertson breaking a 1-1 tie and giving the Rays a 4-1 win...they had trailed 1-0 entering the ninth...win pushed the Rays past Baltimore and into first place in the AL East...Made his third Opening Day roster (2009, 2011-12) and his third start at three different positions...started in CF in 2009 in place of the injured B.J. Upton, in RF in 2011 and in LF in 2012. The Rays Opening Day right fielder was named an American League All-Star in his first full season in the majors...led the majors in hitting as late as June 2, with a highwater mark of .377 on May 27, and finished the season with a .277 (128-for-462) avg. ...appeared in 141 games (121 starts, 111-RF, 8-LF, 1-DH)...Hit .290 (108-for-370) against right-handed pitching with 16 HR, 60 RBI, 27 2B, .361 OBP and .505 SLG...batted .217 (20-for-92) vs. LHP with 3 HR, 15 RBI, .287 OBP and .370 SLG...his 3 HR off lefties came in a span of 13 AB in May and June and remain the only homers he has hit off lefties in his career in the regular season...Batted .310 (72-for-232) in 71 games at Tropicana Field, 2nd best on the club behind Casey Kotchman's .315 mark...Led the AL in hitting for 19 days and led the majors for 13 days, including 12 straight (May 22-June 2)...his lead (AL or major league) was the latest into a season in Rays history...In April-May batted .370/.430/.636 with 9 HR, 30 RBI and 13 doubles...in June-July hit .179/.234/.358 with 6 HR, 19 RBI...in Aug-Sep hit .274/.367/.425 with 4 HR and 26 RBI...Finished May with a .414 (36-for-87) avg. and .759 SLG, both setting club records for the month of May, ahead of Jason Bartlett (.388 avg. in 2009) and Fred McGriff (.727 SLG in 1999)...his .414 avg. was the 2nd highest of any month in club history, behind McGriff's .422 in July 1999...Belted a career-high 19 HR, but had only 2 HR in his final 31 games beginning Aug 23...on Sep 27 vs. NYY, the penultimate game of the season, hit a 3-run homer in the 7th inning off Rafael Soriano to turn a 3-2 deficit into a 5-3 victory...Went 13-for-14 (92.9 percent) in SB attempts, 2nd-best percentage in the AL (min. 10 attempts)...Led the team with 7 sacrifice flies and 9 intentional walks...entered the season with only 2 IBB in his career...had 2 sac flies in a 7-4 win on June 18 vs. FLA, tying the club record...Hit .306/.374/.535 with 7 HR and 30 RBI in the 7th through 9th innings...His 2 triples came in the same game, May 20 at FLA...became the fifth player in Rays history to record 2 triples in one game...hit 2 doubles during the team's 6-run 9th inning in a 12-0 win on Aug 28 at TOR, the first Ray to record 2 extrabase hits in an inning since Ty Wigginton on Sep 27, 2006 at BOS (2 doubles in the 7th)...Batted leadoff twice (Aug 10 vs. KC, Aug 22 vs. DET), his only career apps at leadoff, and went a combined 5-for-8 with 2 HR including a leadoff home run off Justin Verlander...Owns a career .356 (16-for-45) avg. against his former team, Detroit, his highest avg. against any opponent...has 4 HR, 12 RBI, .423 OBP and .667 SLG in 14 career games vs. Detroit...Made his second career Opening Day roster, starting in right field...started in center field in 2009 with B.J. Upton on the DL...ALL-STAR GAME: Elected by the players to his first All-Star Team, placing fourth among AL outfielders behind only TOR Jose Bautista, NYY Curtis Granderson and BOS Jacoby Ellsbury...went 1-for-2 with a single in the 9th inning off PIT Joel Hanrahan...POSTSEASON: Started in right field for all 4 games of the ALDS vs. Texas...in Game 2 in Arlington slugged a 2-run homer off lefty Derek Holland in the 4th inning to give the Rays a 3-0 lead...his 4 RBI in the postseason ranked 2nd on the club after Kelly Shoppach (6). Joined the Rays from Triple-A Durham onJune 25 and was 3rd on the team in RBI overthe last three months of the season with 40,including 12 game-tying or go-ahead...made63 starts (46-RF, 10-DH, 7-LF). ... Had 5 two-out, game-winning RBI...only sixplayers in the AL had more ... 28 of his 40 RBIcame with two out ... for comparison's sake, ALMVP Josh Hamilton had 33. ... His .644 slugging pct. with two outs led the AL(min. 50 AB) and was 2nd in the majors behindNL MVP Joey Votto (.655). ... In his first full month, July, he hit 2 grand slamsand a 3-run homer, all two-out, game-winningblasts ... became the second Ray to hit 2 grandslams in the same month, joining Aubrey Huffin July 2005. ... All 10 of his home runs and 37 of his RBI cameagainst right-handed pitching ... hit .262 (50-for-191) vs. righties but only .080 (2-for-25)against southpaws. ... All 25 of his career home runs have comeagainst righthanders, coming in 439 AB...has51 career AB vs. lefties. ... Drew 40 walks in 261 plate apps, an averageof one walk every 6.56 PA - 4th best in the ALamong players with at least 250 PA, after MINJim Thome (5.67), OAK Daric Barton (6.24) andOAK Jack Cust (6.25). ... His 7 pinch-hit RBI were tied for 2nd in the ALbehind teammate Willy Aybar (10). ... Had 28 extra-base hits and 24 singles. ... Belted a game-winning two-out, pinch-hitgrand slam July 3 at MIN (Matt Guerrier) thatcapped a 7-run 8th in the Rays 8-6 win...wasthe first slam of his career and the fifth pinchhitslam in club history...was the first grandslam in Target Field history, and the secondball to clear dead-center field at Target Field(Jim Thome hit the first). ... On July 26 vs. DET -- his first time facing hisformer team -- ended Max Scherzer's bid fora no-hitter with a two-out grand slam in the6th inning ... snapped a scoreless tie for MattGarza, who completed his own no-hitter thatsame night ... it was the first time a potentialno-hitter was broken up by a grand slam inthe 6th inning or later since July 23, 1990 whenPHI Dickie Thon did it against NYM Frank Violain the 6th inning. ... Became the first player in three years to hit agrand slam in his first game against a teamthat traded him -- since CIN Ryan Jorgensenon Aug 26, 2007 vs. FLA ... the next game, hehit a two-out, game-winning double off DETJustin Verlander in the 6th inning in a 3-2 win. ... On July 30 he hit a two-out, 3-run home runin the 6th inning off NYY Phil Hughes wipingout a 2-0 deficit and giving the Rays a 3-2 win,cutting the Yankees lead in the AL East to onegame. ... Batted .288 (32-for-111) with 6 HR and 20 RBIon the road...hit only .190 (20-for-105) with4 HR and 20 RBI at Tropicana Field. ... Was placed on the 15-day DL near the endof spring training (April 1) with a right elbowstrain...on April 8 was sent on a rehab assignmentto Triple-A Durham, but was shut downon April 13 after 5 games due to lingeringsoreness in his right elbow ... on May 18 wassent on another rehab assignment to Class-ACharlotte and hit .379 with 2 HR and 8 RBI over10 games ... May 31 he was reinstated from theDL and optioned to Durham. ... Played in 20 more games for the Bulls in Junebefore his June 25 recall ... hit .329 (25-for-76) with 3 HR, 11 RBI, .463 OBP, .539 SLG,7 2B and 19 BB ... went 5-for-5 with 3 doublesJune 13 vs. Gwinnett (Braves), and reachedbase in 10 straight plate apps, June 13-14. Twenty-five-year-old appeared in 11 gamesover two stints with the Rays...started 9games (4-CF, 4-RF, 1-DH)...batted .188 with 3HR and 7 RBI....Made his first Opening Day roster and was thestarting center fielder April 7 at BOS with B.J.Upton shelved...became the Rays 6th OpeningDay CF in the past 6 years and their 9thoverall...went 0-for-4 in his Rays debut....Belted his first home run as a Ray in his secondgame, April 9 at BOS (Daisuke Matsuzaka), asolo shot to lead off the 2nd inning....Made three starts for the Rays during that firsttour and was optioned to Triple-A DurhamApril 13 when Upton was reinstated....Returned to the Rays for a two-week stayMay 30 when the Rays sent pitcher Dale Thayerback to Durham....Homered his first two games back - May 31vs. MIN (Nick Blackburn) and June 2 vs. KC(Roman Colon) - going a combined 5-for-7with 5 RBI...had 3 hits and 4 RBI in that gamevs. KC, one shy of his career high for each...hit a 2-run double off Horacio Ramirez, his firstbig league AB against a lefty in '09....Went hitless his next 6 games (0-15) and wassent to Durham for the remainder of the seasonwhen Pat Burrell was activated off the DL....Hit .273 for the Triple-A champion Bulls with35 2B, 16 HR, 66 RBI and 14 SB...led the teamwith 73 R and 67 BB. Spent two stints in the majors: May 5-28 andJune 29 through season's end.Batted .252 with 12 home runs and 33 RBI in92 games for the Tigers in 2008, his first actionat the major league level...ranked 3rd amongAL rookies with a .492 slugging pct. behindTEX Chris Davis (.549) and Evan Longoria(.531).Placed 4th among all major league rookieswith a 20.17 at-bats per home run ratio (min.200 AB) behind Longoria (16.59), Davis (17.35)and the Reds' Jay Bruce (19.67).Combined to hit 25 home runs with 74 RBI betweenthe Tigers and Toledo (AAA).Had his contract purchased by the Tigers fromToledo on May 5 made his major league debutthat night vs. Boston, starting in right field.Collected his first major league hit on May 7vs. Boston, a single in the fifth inning off JulianTavarez.Connected for his first major league home runon May 10 vs. NYY, belting a solo home run inthe first inning off Darrell Rasner.Optioned to Toledo by the Tigers on May 28.Recalled from Toledo by the Tigers on June 29hit .342 (26-76) with nine doubles, two triples,five home runs and 15 RBI in his first 25 gamesafter rejoining the club June 29-July 30.Established a career high with four hits on July3 at Seattle...equaled the high with four hits onJuly 21 at Kansas City.Earned AL Player of the Week honors for July7-13, the first Tigers rookie position player towin the award since Tony Clark in 1996...hit.409 (9-22) with four doubles, four home runsand six RBI in six games during the week.Tallied a career-high five RBI on July 21 at KC.Belted two home runs August 19 at Texas.Batted .266 (25-94) with nine home runs in 31games prior to the All-Star break...hit .243 (36-148) with three home runs in 61 games followingthe break. March 28, 2019 Atlanta Braves selected the contract of LF Matt Joyce from Gwinnett Stripers. March 26, 2019 LF Matt Joyce assigned to Gwinnett Stripers. March 24, 2019 San Francisco Giants traded LF Matt Joyce to Atlanta Braves for cash. March 20, 2019 San Francisco Giants signed free agent LF Matt Joyce to a minor league contract and invited him to spring training. March 19, 2019 Cleveland Indians released LF Matt Joyce. March 19, 2019 Columbus Clippers released LF Matt Joyce. February 9, 2019 Cleveland Indians signed free agent LF Matt Joyce to a minor league contract and invited him to spring training. 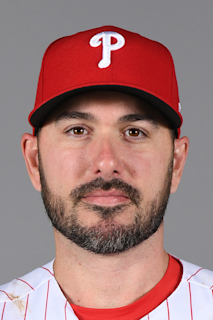 February 9, 2019 LF Matt Joyce assigned to Columbus Clippers. October 29, 2018 LF Matt Joyce elected free agency. September 1, 2018 Oakland Athletics activated LF Matt Joyce from the 10-day disabled list. August 21, 2018 Oakland Athletics sent LF Matt Joyce on a rehab assignment to Nashville Sounds. July 7, 2018 Oakland Athletics placed LF Matt Joyce on the 10-day disabled list retroactive to July 5, 2018. Lumbar strain. June 22, 2018 Oakland Athletics activated LF Matt Joyce from the 10-day disabled list. June 18, 2018 Oakland Athletics sent OF Matt Joyce on a rehab assignment to Nashville Sounds. June 6, 2018 Oakland Athletics placed LF Matt Joyce on the 10-day disabled list retroactive to June 3, 2018. Lumbar strain. August 7, 2017 Oakland Athletics activated LF Matt Joyce. August 5, 2017 RF Matt Joyce roster status changed by Oakland Athletics. November 30, 2016 Oakland Athletics signed free agent RF Matt Joyce. November 3, 2016 RF Matt Joyce elected free agency. April 3, 2016 Pittsburgh Pirates selected the contract of RF Matt Joyce from Indianapolis Indians. February 20, 2016 Pittsburgh Pirates signed free agent LF Matt Joyce to a minor league contract and invited him to spring training. February 20, 2016 LF Matt Joyce assigned to Indianapolis Indians. November 2, 2015 LF Matt Joyce elected free agency. October 16, 2015 OF Matt Joyce assigned to Gigantes del Cibao. September 1, 2015 Los Angeles Angels activated LF Matt Joyce from the 15-day disabled list. August 16, 2015 Los Angeles Angels sent OF Matt Joyce on a rehab assignment to Salt Lake Bees. August 10, 2015 Los Angeles Angels placed LF Matt Joyce on the 15-day disabled list. Concussion. July 17, 2012 Tampa Bay Rays activated LF Matt Joyce from the 15-day disabled list. July 15, 2012 sent RF Matt Joyce on a rehab assignment to Charlotte Stone Crabs. July 4, 2012 sent RF Matt Joyce on a rehab assignment to Durham Bulls. June 22, 2012 Tampa Bay Rays placed RF Matt Joyce on the 15-day disabled list retroactive to June 20, 2012. Lower back tightness. June 25, 2010 Tampa Bay Rays recalled Matt Joyce from Durham Bulls. May 31, 2010 Tampa Bay Rays optioned Matt Joyce to Durham Bulls. May 18, 2010 sent OF Matt Joyce on a rehab assignment to Charlotte Stone Crabs. April 8, 2010 sent OF Matt Joyce on a rehab assignment to Durham Bulls. April 4, 2010 Matt Joyce roster status changed by Tampa Bay Rays. October 19, 2009 Tampa Bay Rays activated RF Matt Joyce. June 12, 2009 Tampa Bay Rays optioned Matt Joyce to Durham Bulls. May 31, 2009 Tampa Bay Rays recalled Matt Joyce from Durham Bulls. April 12, 2009 Tampa Bay Rays optioned Matt Joyce to Durham Bulls.